7 power packed selling emails, written by me. 7 helpful articles that help make the sale. The same squeeze page I use every day. The same lead magnet I give away - YOU CAN BRAND IT! A super graphics pack for promoting via social media! Get my LIST BUILDING, SALES MAKING email system today! I have done the research, researched the products and written the messages. All you need to do is use them! 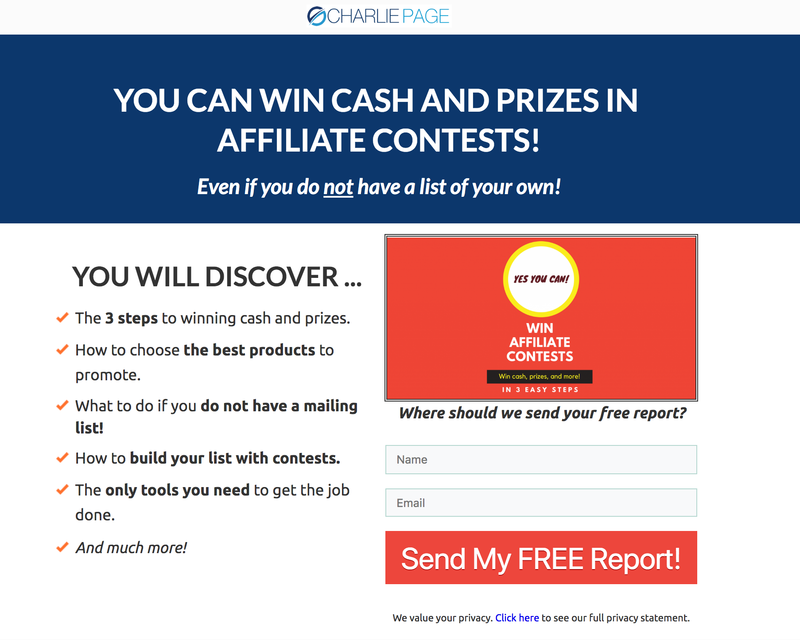 Do you want to BUILD YOUR LIST and SELL affiliate products online using email follow up? If you answered yes, congratulations. Why congratulations? And even fewer know how to include helpful articles that add even more marketing power by setting the stage for making the sale with the follow up email messages. HOW DO YOU GET PEOPLE ON YOUR LIST ONCE YOU HAVE THESE MESSAGES? You need two things, both of which are HARD to create for most people. A LEAD MAGNET (special report) that people want to get free. A SQUEEZE PAGE that compels them to sign up now to get the free lead magnet. MOST people can't do all these things easily! 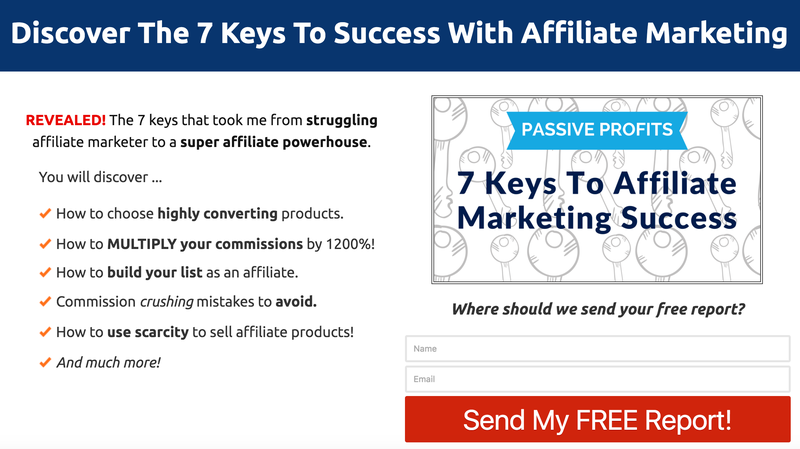 And now I'm going to share my follow up sequence for building your list WHILE selling affiliate products with a select few! This sequence includes interesting articles that set the stage for the sale by uncovering needs AND selling email messages that help close the deal! AND it includes the same squeeze page I use and the same lead magnet I give away ... BRANDABLE YOU! What does "brandable" mean? It means you can put your name on the report and your links inside the report! I know because I have written thousands of such messages, teach a $1000 course on email marketing, am certified by Digital Marketer in it and have made my full time living with email marketing since 2001! How to use articles to make people want to buy more! You get access to my 14 MESSAGE LONG FOLLOW UP SERIES for promoting tools everyone needs. PLUS ... AND THIS IS HUGE ... I have included 7 articles! This means you will be using content marketing as well as email marketing - to set up the need for the product the emails promote! This is my proven and effective Breathing Method in action, working for you! This is how I sell all of my products, and affiliate products too! The article comes first, helping the reader feel the need for the product you are going to be promoting. Then the email messages come, reinforcing that the product being promoted is the solution to the problem that was uncovered by the article. This two-step marketing approach works time and time again, across niches and for people at every level of experience! I have chosen EIGHT top converting products, using my own experience and my exclusive Product Matrix, to help ensure your best possible results! Plus ... you can add other products to the series if you want to! This series is designed to appeal to people who want to make money online by WINNING AFFILIATE CONTESTS! Everybody loves to win and your new lead magnet and follow up series will show them how to win while promoting products that pay you handsomely! In fact, many of them pay recurring commissions! Sweet! This means your messages will appeal the broadest possible audience! And that means more clicks, more sales and more commissions for you. There is nothing sweeter than passive income, and several of these 8 powerhouse products pay you monthly. How to use the articles on your blog or in social media. Use them as solo ads! Use the content on social media! And these are not just "pitch" messages. No way. There are messages that include content marketing as well. Now you are NURTURING your reader as well as selling to them. You are sending them free content and then helping them solve a problem they already have and want to solve! That is the essence of professional selling! MY SUPER LIST BUILDING SYSTEM ... YOURS FREE! Here is a screenshot of the squeeze page you will receive ... the same one I use every day! And you get both the squeeze page AND lead magnet at no additional cost. They are my gift to you, a way to say thank you for your order today! If I were to write this series for you individually it would cost at least $700 for the selling emails alone. I have long charged an average of $100 per message when writing custom follow up systems. Add to that the 7 original articles and the value skyrockets. I don't write articles for a fee anymore, but the last time I did I charged $250 for a 1000 word article. That means these articles would be valued (IF you could hire me) at $1750 alone. That is a combined value of $2450 in original copywriting! You don't need to change the articles at all! Because I know what these messages can do for you, and because I want to sell out fast, I am pricing the entire package at $197. You get $6450 worth of copywriting for A ONE TIME PAYMENT of $197. To help you even more I am including a full graphics package for your promotion of this lead magnet. This will help you build your list faster than ever before. You can promote your squeeze page anywhere using one of these images. I know I do! This bonus could sell for $150 as an upsell all day long. But it's yours free. Be sure to order now while this offer, and the super-valuable bonuses, are still available!